Strawberries meet kiwis in a classic blend of sweet and tart, the perfect start to the new year. This might be the shortest profile description we have seen from Freeman vapes. But it’s sort of fitting. Strawberry vapes proliferate the market, every juice company has at least one. But the best ones always find a way to nail the ripeness factor, making that Strawberry taste as authentic as possible. Freeman has definitely pulled it off in Strawb Lights. The Kiwi is subtle, if not barely noticeable, but we think it does more of a job of rounding out the flavour and adding some volume (creaminess). There is an almost Yogurt quality to this profile, it’s thick and creamy. 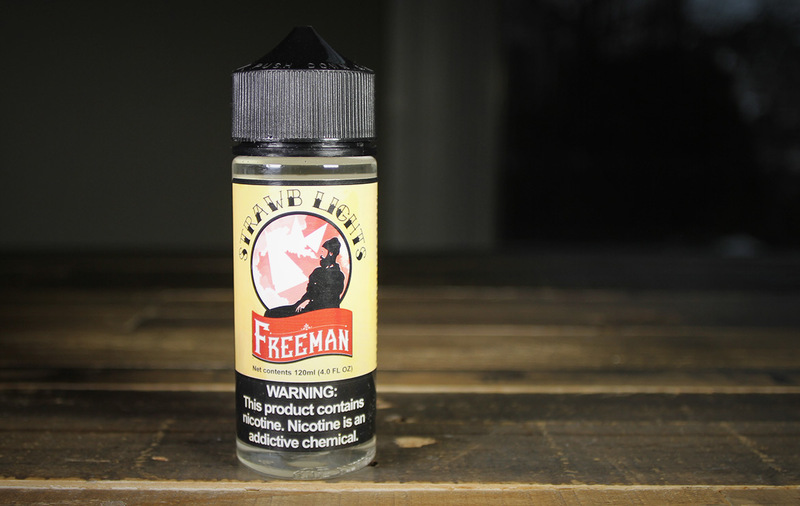 We love that Freeman continues to make great, clean juice at extremely fair prices. You really can’t beat their product offering. There is sure to be at least a couple profiles that call out to you. But as far as Strawb Lights is concerned, Strawberry profile lovers will be extremely satisfied. Check them out! Exhale: More tasty, sweet, creamy Strawberry. Almost has a Yogurt quality.